The Crime Victim and Survivor Services Division offers CVSSD E-Grants, a comprehensive web-based grant application and reporting system that allows you to complete applications, submit reports and request grant amendments online. CVSSD E-Grants provides a streamlined application and reporting process and helps save resources and shipping costs. Use the guide below to understand CVSSD E-Grants system features, including instructions for registration, adding other people to your organization and initiating and submitting applications and reports. For assistance, contact the Agate Help Desk at 1-866-449-1425 or AzHelpDesk@agatesoftware.com, or CVSSD staff. This training covers basic information about how to navigate the CVSSD E-Grants System, including information regarding how to register. Additionally, the training walks through how to initiate, complete, and submit applications, financial reports, progress reports, and amendments. 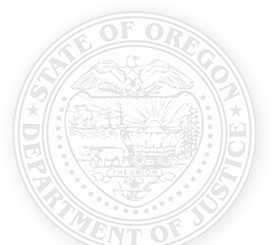 In order to access this training, you will need to set up a free iLearn Oregon account, as outlined in the Oregon iLearn user guide. Once your account has been created, you will find our training resources by using “CVSSD” in the search box. How do I register a new organization in E-Grants? Initial registration for an organization must be completed by CVSSD staff. Please complete the E-Grants Organization Registration Request form and email it to CVSSD staff at cvssdegrants@doj.state.or.us. Please allow two business days for CVSSD staff to process your request. Next, work with CVSSD to register an authorized official. Typically, this will be a board chair, the District Attorney or another official able to contractually obligate the organization. Once approved, the authorized official will have access to CVSSD E-Grants and will be able to grant access to other members of the organization. How do I get a log-in and password for E-Grants? You can request access to E-Grants by contacting the authorized official in your agency. Replace a forgotten password by going to the CVSSD E-Grants log in page and clicking “Forgot Password.” Then enter the user name and email address associated with your account and then click “Reset my password and email me the new one.” A new password will be emailed within minutes. If you forgot your user name, you will need to contact the Agate Help Desk by phone 1-866-449-1425, or email azhelpdesk@agatesoftware.com. The CVSSD staff is also available for assistance. To make changes to your account, click “My Profile” on the top right corner of your screen. This will let you to update your contact information, as well as change your user name, password and profile picture. Who can use my username and password? You should never give your user name and password to anyone. Each user is assigned specific permissions and functions by their agency. When and how do I update my Organization Information? This section contains basic identification and contact information for your agency. If anything in this section changes, please let us know right away. Email your fund coordinator to have this information updated. When and how do I update my Staff and Board Roster? Any time that staff or board members change your roster should be updated. Please be sure that the FTE breakdown for grant funded positions is accurate. To access your staff and board rosters, click on “My Organization” at the top of the page. Once there, select “Organization Details” and click on the link for the staff or board roster. Once in the roster, use the dropdown menu at the top right corner of your screen to navigate between pages. Please be sure to save your changes. When are my reports due? Each grant has slightly different reporting schedules. You can find a comprehensive list of report due dates in the Important Grant Reporting Dates page. Why don’t I see the option to initiate a report for my grant? You already have a report in progress. If you have a financial report in progress, E-Grants will not allow you to initiate another one for the same grant. Check the list of reports to see if you already have one in progress and either submit or cancel that one before you try to start a new one. Your grant is not in “Grant Awarded” status. If your application has not moved through the full grant agreement process, or if you are in the midst of an amendment, your grant may not be in “Grant Awarded” status. If not, E-Grants will not allow you to initiate any reports. You do not have the correct permissions to initiate the report. Viewers and writers are not allowed to initiate any reports and financial officers are only authorized to initiate financial reports. To see what permissions are assigned under an application, go to the “Management Tools” section and select “Add/Edit People.” A list of people associated with the application, including their assigned role, will appear.